An anomalous surge in demand deposits led to one of the 5 biggest weekly jumps in M1 money supply ever as reported by the Federal Reserve this week. By clicking on the link and reading, you help reward me for my work by putting a penny or two in my pocket. 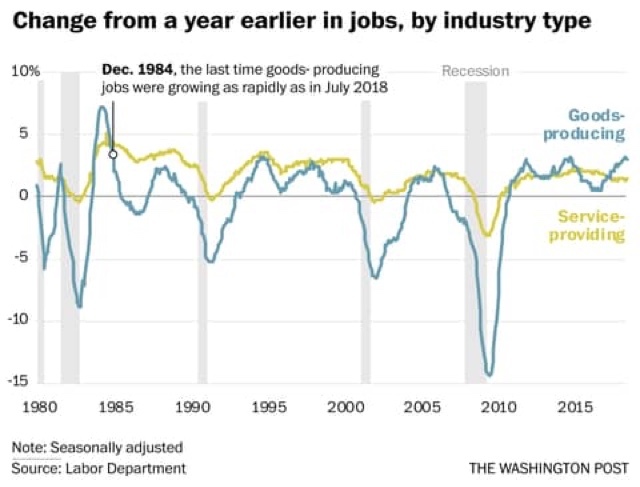 As I noted a month ago when I first presented this graph, while the rate of job openings is at an all time high, the rate of actual hires isn't even at its normal rate during the several best years of the last, relatively anemic, expansion. Meanwhile one month ago quits tied their best level of 2001 (at the end of the tech boom). 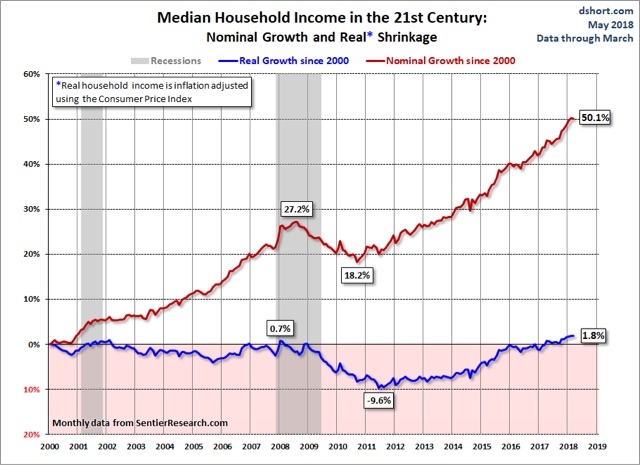 - "households" includes *all* households, including, e.g., year-round college roommates and, especially, retirees. Retirees' income is typically only about 1/2 of that of workers, so hoardes of retiring Boomers are affecting the median. - "income" is more inclusive than "wages." For example, stock dividends interest on bonds are forms of income. 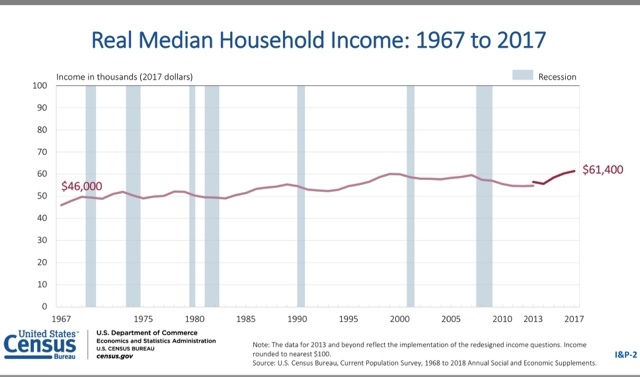 What I still haven't found, and will update when I do, is real median household income by age cohort (that will take care of the issue of the increasing percentage of retiree households). I have a new post up at Seeking Alpha, "Five Long Leading Indicators 'On the Cusp'." The post follows up on my "Weekly Indicators" paradigm with graphs showing what the trends look like for aforesaid five series which have been hovering at the borderlines of being positive to neutral, or neutral to negative, over the past few months. 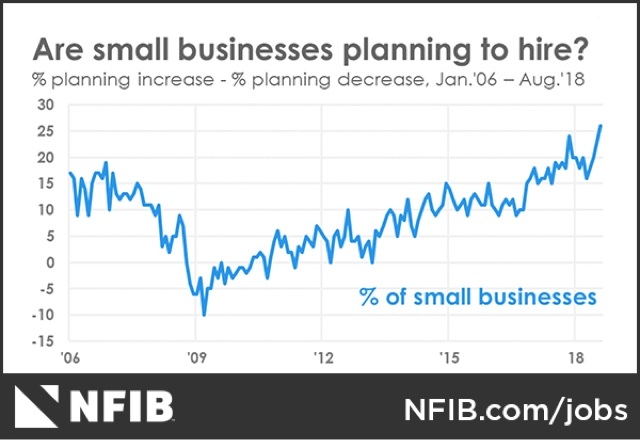 The National Federation of Independent Businesses (NFIB) put out its monthly confidence and hiring reports over the past few days. The confidence report soared to new high, so the economy is Teh Awesome and happy days are here again! Right? 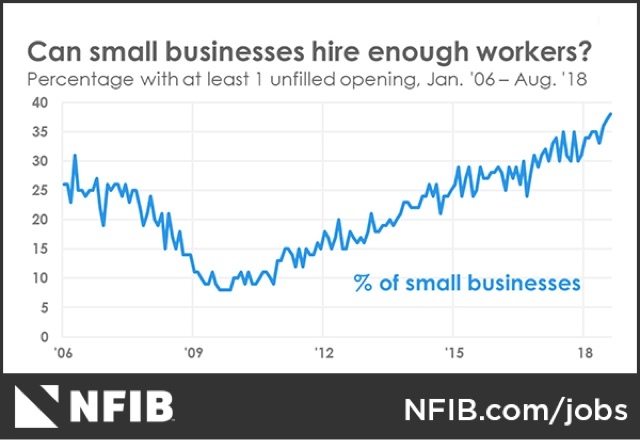 When it come to, you know, actual hires, small businesses have not added any more workers than they have since 2013. With a big *actual decline* in the month of record desires to hire. 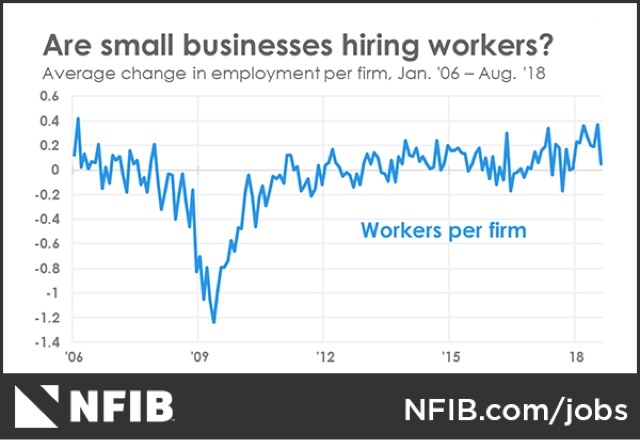 So what could possibly be behind this market failure, where employers can't seem to be able to find workers to fill those record openings? Yeah. *Lowering* compensation plans, and *zero* actual changes to compensation. That will do the trick. Forget "monopsony" employers. The Taboo against raising wages is very much alive and thriving in small business. 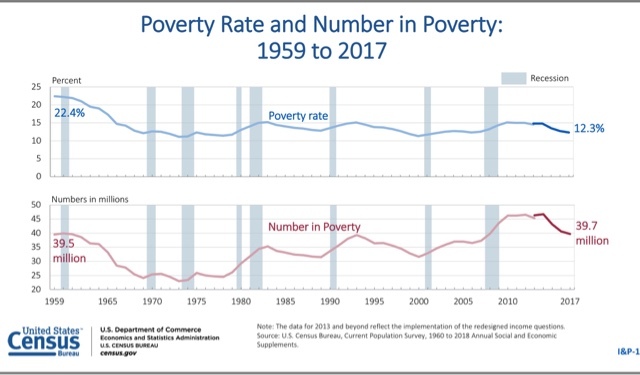 Involuntary part time employment -- the primary addition forming the basis of the broad U6 underemployment rate -- has dropped to levels only seen for two months in the 2000s expansion, and exceeded for 3 years at the end of the 1990s internet boom.